Introduction: We recently got a unique opportunity interview one of Japan’s most respected JDM lure designers. Sit back and enjoy a rare conversation with DUO’s International chief designer, Masahiro Adachi. 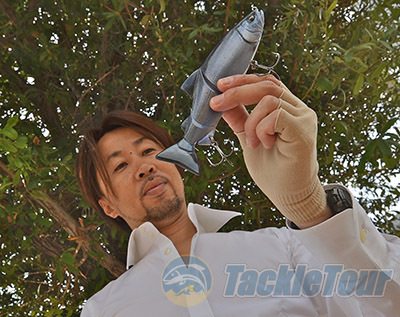 TT: Mr. Adachi we would like to thank you for your consideration and opportunity with Tackle Tour. MA: Yes thank you. It is an honor. TT: Mr. Adachi your name is synonymous with JDM lure development. Japanese lure makers have a tremendous respect for your work and innovations. When did you actually begin your interest in lure design? MA: Approximately 30 years ago bass fishing was brought to Japan. With the limited amount of information back in the days, there were many copied products in Japan similar to those made in the current "lure developing nations". However, there were independent original hand-made brands which made amazingly elaborate pieces of art as lures. About 25 years ago, this had an impact on me and I started hand crafting lures. 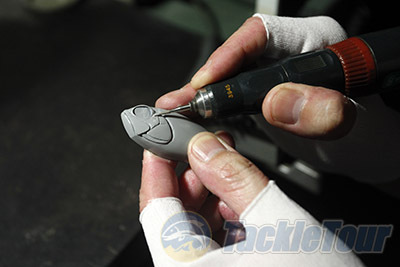 It was a totally different process from those lure designs used today for example in ABS lure development. I joined one of the two lure manufacturers in Japan and learned the intricate skill, engineering process and technique required for designing a functional lure. TT: Going back in time, many fishing enthusiasts in the United States cherish their very first fishing experience. In most cases these experiences began during their childhood. As a child what was your richest memory regarding fishing? MA: During my high school days, I would actually look for new bodies of water, many were property ponds. Here my peers and I would compare presentations. We would actually compete attempting to catch the best quality of bass in the pond. I had a deep desire to prowl for new fishing grounds to find my own "home-ground". TT: What is your favorite fresh water and saltwater fish to pursue? MA: This is a difficult question. My favorite species vary from time to time and also whether we are talking about a hobby or for business. If you take a good look at the lures I design, I have always tried to pursue "beauty and function". I am never content with just the shaping a lure to a simple process. I have an affinity for beautiful, elusive predators that are adaptable, and can be hard to pursue. TT: What other leisure activities or hobbies do you enjoy? MA: I don't really have any other hobbies. There are many CEOs of Japanese lure manufactures who play golf but I enjoy fishing and will continue to do so in the future as well. There are many things I would like to do business wise and these are also all lure related. I think I will stick to what I do best and continue building lures and related activities for the rest of my life. This is truly what think about and enjoy doing. TT: The fishing industry is demanding. Do you still acquire opportunities to fish? How often do you get to fish? MA: I hadn't been able to fish as much as I developed a condition in Japan we call “frozen shoulder syndrome”. This can be debilitating at times. My condition has improved so I hopeful to get out a little more. We have been working on the Fang Ops line up which are designed for predatory fish in exotic locations, so I am hoping that my fishing explorations will take place overseas soon. TT: Is there anywhere in the USA you would like to fish for freshwater and saltwater species? MA: I Think I would be interested in pursuing Florida Bass. There are actually many other places I would like to visit to fish, but if I was to say a location, I want to also visit Alaska. TT: Before entering the lure industry did you participate in another industry discipline? MA: Yes, I was in the IT industry for about half a year, but it was extremely boring and not challenging. I look back now and realize I would have made a lot more money LOL. TT: Getting back to the “meat” of our interview. The fishing lure business is big, big business and is taken seriously in Japan. 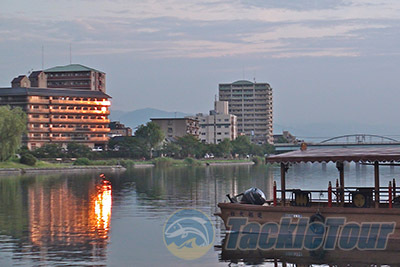 In fact, Japan is considered the second largest bass fishing lure industry in the world. What are your thoughts about the industry? MA: As you say, Japan is the second biggest market after America. Therefore, there are countless lure manufactures in Japan now. However, with the limited land mass in Japan, the fishing grounds received a lot of significant pressure. Thus making it difficult to catch fish maybe compared to other nations around the world. This I believe creates the one of the perfect environments for lure development. We might not be able to make low cost products, but with the state of the art processing technology and rivaling manufacturers constantly competing against each other to make a "better lure", it just comes naturally to create a genuine lure. This is why we will continue to develop and manufacture our products JDM (Japan domestic). The highly competitive environment continues to challenge us. TT: As a designer and among the competition, how did you find your niche? MA: I am probably one of the oldest Japanese lure designers in Japan. Years ago, there were only a few large lure manufacturers in Japan and one of the presidents liked my work. At that time I was only 20 when I was given my first opportunity to develop lures. TT: The DUO lure brand and reputation for innovation is known globally. How did you arrive to your company name, DUO? This is nothing too serious. We just took the initials of Design of Ultimate Organizer. TT: Your bass lure line is called Realis. What is the definition of this term or name? MA: "REALIS" means "Real-ism”. In Spanish it “Real” is spelled the same but spoken more like “ Ray- al” and we thought in the way of “ Real-it-is…” thereby coming up with Realis. It’s maybe complicated lol. We understand no such a word truly exist. lol. Our intention is "REAL-ism throughout our lures".